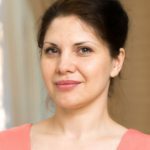 Elena Izyumova - real estate writer and content strategist at https://tranio.com. Tranio.com is an international real estate platform with a network of 700 partners worldwide and a catalogue of more than 80,000 listings in 54 countries. The company publishes daily news, high quality analysis on foreign realty, expert advice, and notes on laws and procedures related to buying and leasing properties abroad so that readers can make their property decisions with confidence. Ten years ago, Brian Chesky and his flatmate Joe Gebbia could not afford the rent on their San Francisco apartment. To raise funds, they set up a website advertising their loft — complete with three air mattresses — to people looking for lodging.